4 Bedroom Garage For Sale in West Sussex for Asking Price £1,250,000. Coming on to the sales market for the first time in many years Aurian Wood is a detached house built in the late 1940s and extended in the early 1960s with parking, swimming pool and tennis court. 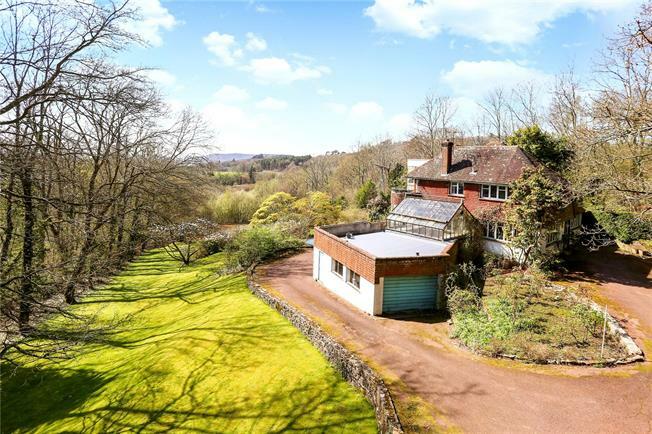 The property sits on a plot of approximately 2.5 acres and offers a perfect opportunity for re-development (subject to planning permission) or refurbishment. The views from the house are far reaching towards the South West. Viewing is essential to appreciate the unique nature of this truly individual property. Fernhurst is located in the South Downs National Park and enjoys a good selection of local amenities including shops, primary school, church, doctors surgery and a popular public house. Haslemere town is situated about 3 miles to the North and provides a more comprehensive range of amenities including shopping facilities, schools for all ages both in the private and public sectors and a mainline railway station providing a frequent service to London Waterloo in under the hour. In addition, the countryside surrounding Fernhurst and Haslemere is well known for its outstanding natural beauty.